SEELENZAHLEN (Soul numbers) is a unique fresh and easy-to-apply approach to the ancient wisdom of numerology. Irene was initiated in the art of reading Soul numbers by the Earth woman, a lady who had lived out of civilization for many years and received the wisdom of numbers from her spirit during that time. The book shows how to unlock your life’s purpose by using the 4 essential Soul numbers, the day number, the life number, the destiny number and the entire number as well as the current life number. 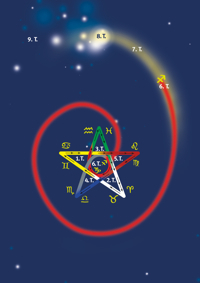 The book also contains a chapter of partner numerology enabling you to understand patterns in your choice of partner.